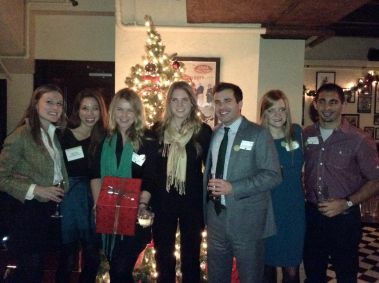 On December 15th, guests gathered at Back Bay Social Club to celebrate the 1st Annual YPEM Holiday Party. As guests walked into the event, they were reminded to take a look at the Prudential Tower, shining green in recognition of Expect Miracles Foundation’s mission to rally the financial services industry to invest in life-saving cancer research and advance patient care programs nationwide. Each night of December, the top of Prudential Tower was lit a different color in support of different charity partners. 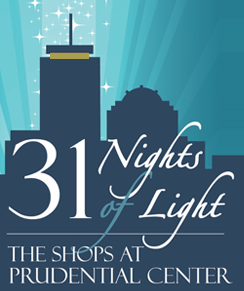 31 Nights of Light was created to help community organizations gain key visibility during the holiday season. Expect Miracles Foundation was honored to be selected for the 2nd year in a row, and to be able to host a YPEM Holiday Party to recognize the Prudential Tower. YPEM took over the entire basement, and guests were treated to appetizers, networking, and an Instagram competition. Anyone who Instagramed a photo of the Green Prudential Tower with the hashtag #ExpectGreen was entered to win a prize. After reviewing several entries to the Instagram competition, @samaruviv was announced the winner. Congrats Sam!